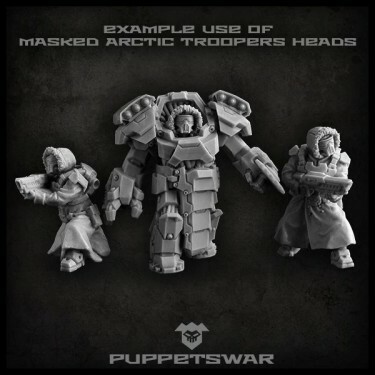 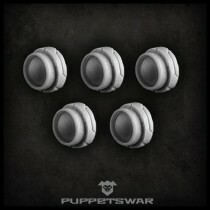 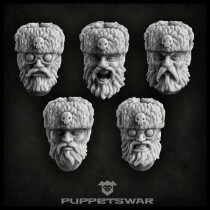 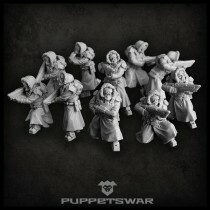 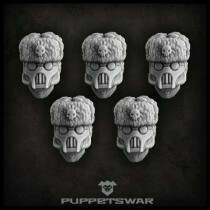 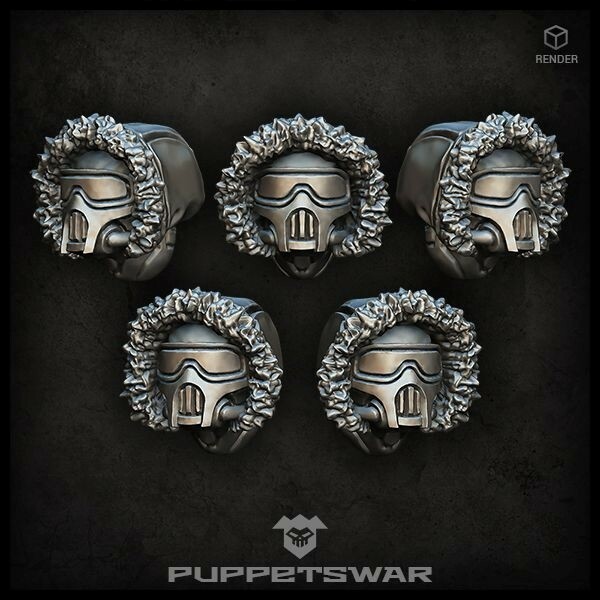 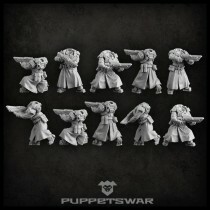 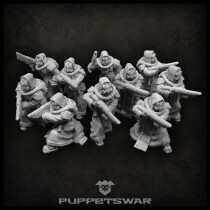 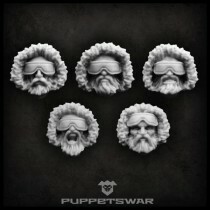 Five models of Masked Arctic Troopers heads. 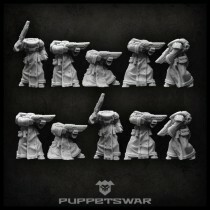 Height from neck to the top of the head is 6,5mm. 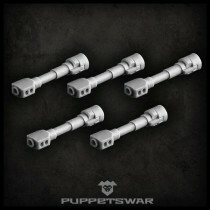 Max width 8mm.